The center focuses on the treatment of breathing apparatus, digestive organs and endocrine system with the use of natural factors together with traditional treatment. It offers herbal medicine, remedial gymnastics, physiotherapy and massage, pine and salt baths, sauna. 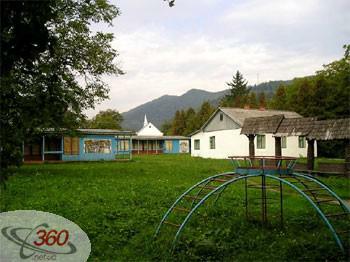 Also mineral waters of the Carpathian region are used for treatment. The center is located in an environmentally clean area with unique natural recreation opportunities, pure mountain air, mountain rivers, mineral sources, vivid views. The territory is landscaped with a fruit garden, shrubs, flower beds, grass plots.